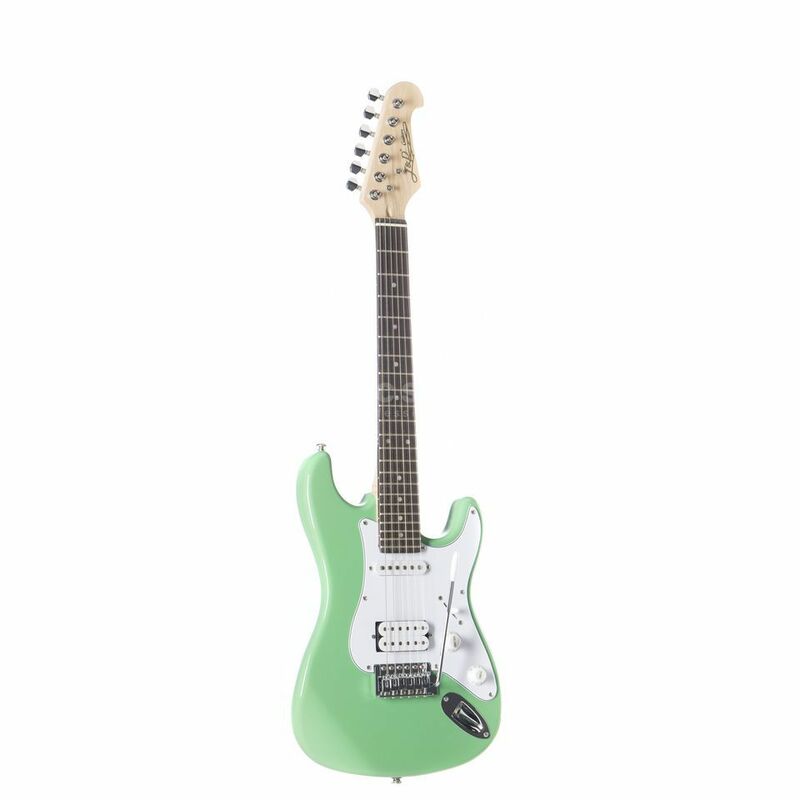 The J&D ST-Mini Electric Guitar, Surf Green is ideally suited to children who want to start playing guitar from a very young age but require a smaller, lightweight guitar that they can play with ease. Although aimed at children, the ST-Mini has been constructed using professional grade components including an alder body, bolted on maple neck and a 22 fret rosewood fingerboard layered over a 564mm scale making it perfect for smaller hands. The J&D ST-Mini also features one Humbucker and one Single Coil pickup that generate an array of classic sounds. The guitar also has die cast machine heads, a vintage tremolo, has been built using chrome hardware and is finished in a beautiful surf green.